Occasionally, marketers send me press releases in the hope I'll blog about them. Ordinarily I refuse to be manipulated by such a ploy, but I thought this one about android was worth a little discussion. I've always thought that android phones look interesting but only from the point of view of a tinkerer. This new direction seems to offer something more. Android, the world's leading free, open source platform for everything beyond smart phones, and the world's most popular phone amongst Android software developers and Google employees, is proud to announce the discovery of their first Consumer. The Android developer community first suspected the existence of the Consumer after finding non-Google IP addresses in the log file of an Android Developer Forum. The discovery was quickly escalated to Google management who sent a rapid response Privacy Intrusion Team to perform expanded analysis of his web searches, browser, email and telephone usage. They were thrilled to discover that the lurker was a genuine Android customer who was neither an Android software developer or a Google employee. The potential existence of such a Consumer had been hotly debated on Android developer forums for years. But even the most optimistic Android enthusiasts had assumed that the debate was purely theoretical. Google had previously spent millions of dollars placing 'Angry Birds' in their 'Google Play' app store, in the hope that it could potentially attract a Consumer to consider using the Android platform for Consumer Purposes. Google's Privacy Intrusion Team have revealed that analysis of the Consumer's correspondence offer no clear rationale for why he purchased an Android phone from a market place crowded with more suitable offerings. Skeptics have taken this as an indication that the Consumer's existence could be the result of Google Finland's controversial 'tag and release' program where members of the public were anaesthetised, given an Android phone, and released back into the population. 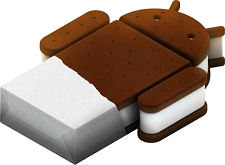 This new phase of the Android platform is an exciting time. Predicting an influx of Consumers, developers have quickly raced to make the phone more technically intimidating and to provide an even more fractured range of devices. Google employees remain unaware of anything that has happened to non-Google employees. The Consumer is now considering getting into Android development, and has recently taken a job at Google. Crazy times. Next they'll be announcing the discovery of a teenager who wants a Zune.